As far as topiary goes it seems to me you are in either one of two camps, you think topiary is fabulous and grow it or you don’t. I am in the former, what ever shape or size it provides fantastic structure throughout the year and can act as a real statement within the garden, rather like a piece of living sculpture. 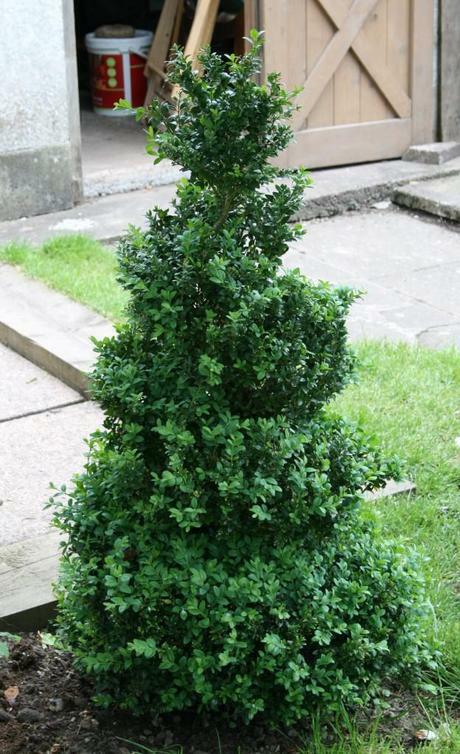 This time of year box (Buxus sempervirens) is clothed in its wonderful fresh soft new foliage. Unfortunately topiary shapes can soon get lost underneath these wonderful new leaves. So now is a great time to get out your secateurs and start clipping. Here is a before and after shot of a box spiral, it is one of a pair which I have in my garden. 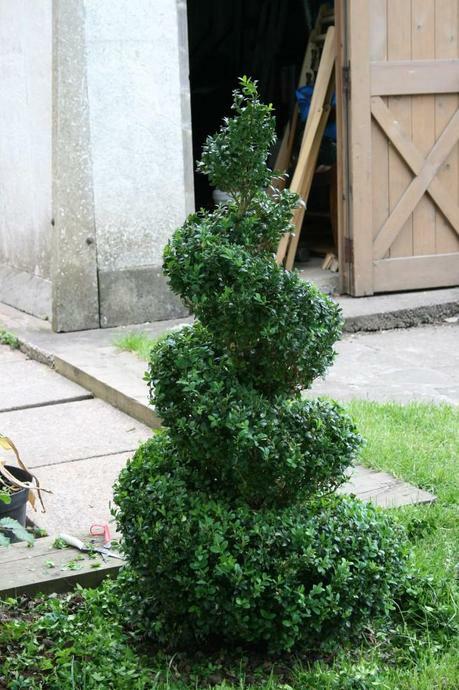 I always think the key when pruning topiary is to keep moving, move around the shape as you are clipping and take time to move away and view it from a distance. Always remember, worst case, rather like a bad hair cut at least it grows back!